Cigarette Tricks and Gags at the Bar , by Eddie Joseph, is filled with fun (and funny) bits you can add to any act. And, they are strong enough to stand on their own. Limited quantities available. 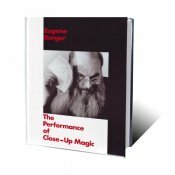 A fantastic hardbound book for the stand-up performer. The effects in this book are solid, and are designed for the true worker. 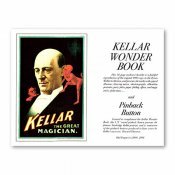 The topics in this book include: mentalism, card magic, silk magic, rope magic, productions, etc. This is a first edition book. Feature Magic for Mentalists by Will Dexter has been considered by many to be the most under-rated book in Mentalism. 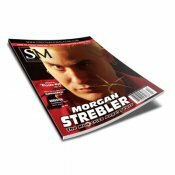 Every serious student of Mentalism should have Will Dexter's Feature Magic for Mentalists in his/her library. Very highly recommended! 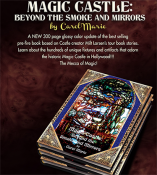 A NEW 300-page glossy color update of the bestselling pre-fire book based on Castle creator Milt Larsen's tour book stories. Learn about the hundreds of unique fixtures and artifacts that adorn the historic Magic Castle in Hollywood!!! The Mecca of Magic!